In Alaska there is a Bay known as Thomas Bay and all though this Bay is very remote it has seen a lot of tragedy and it is also called the bay of death. In 1750 a native village was hit by a massive landslide and more than 500 people died. Then in the very late 19th century a ship carrying Chinese immigrants hired to work for an Alaskan salmon company wrecked just outside of the Bay. And it was reported that every single person that was on board this ship had died. And not to long after this accident a man named Charlie, a prospector asked an elder where he got a piece of quartz flecked with gold. And this elder gave Charlie directions to what sounded like a mother lode and this location was in the woods right next to Thomas Bay. Now Charlie could not believe what this elder had just told him so he wasted no time, he grabbed his stuff and left as quickly as possible. And after a lot of searching he was only able to find one piece of quartz. And just as he was about to give up he saw some something that would haunt him for the rest of his life. He saw a group of creatures swarming up the ridge towards him and he stated that they were the most horrible looking things that he had ever seen. They were neither men nor monkeys but yet they looked like both. They were entirely sexless and their bodies were covered with hair and they smelt really, really bad. And once Charlie saw these hideous monsters which he believed to be demons or devils he took off, he never ran so fast in his life. And these creatures went after him. One of them was so close that it was able to scratch Charlie on his back. But somehow Charlie was able to get away and he made it all the way back to his canoe. And while he was escaping these whatever they were, were making awful noises. It was as if they were crying and these sounds sent chills down Charlie’s spine. And once he finally made it back to town he told a lot of people about what he had just encountered and he believed that they were devils. And one of these people who Charlie told was an author by the name Harry D. Colp and this man, this author was amazed by this encounter so he wrote a story about it. And he titled it the “Strangest Story Ever Told”. And at that time a lot of people believed that these creatures really existed and this location will forever be known as devils country. Now some believe that Charlie or Harry D. Colp were just making up stories. But one of the most creepiest theories that has ever come forward is that Charlie did not encounter an unknown species or devils but starving Chinese immigrants. Survivors of the ship wreck that happened not that long before. But many dispute this theory as Charlie’s descriptions did not match a human being, as no matter how long a human is lost in the wilderness their not just going to start growing hair all over their bodies. But maybe Charlie was just so scared that he really didn’t get a good look. But in the end many believe that he came face to face with a group of Bigfoots as there are a heck of a lot of Bigfoot sightings in Alaska. One of the more credible sightings that I have never forgot happened to 2 fishermen in Alaska. One day while these 2 men were out fishing as fishermen do they saw a huge bear on the shoreline just on the outskirts of the woods. And these 2 men were so shocked by how big this bear was that they stop working. And they just stood there standing on their boat starring in total disbelief as this bear was enormous. And as they were watching they saw that it started to act very strangely, it was like it was scared of something. Then it ran extremely fast back into the forest. And these 2 men looked at each other wondering what could possibly scare a bear of that size. Then they saw it, they saw a 9 foot plus bi pedal human ape like creature covered in hair with enormous shoulders. And this thing was looking at these 2 men. And these fishermen were scared, they had never seen anything like it before and they took off. They felt that there was nothing that they could do to stop this creature from attacking them not even the water that separated them. And since there are so many sightings just like this within this area many believe that Charlie was not lying but telling the truth. And I am going to make a separate video covering the most creepy and credible Bigfoot sightings in Alaska and I will have it done later this month. Now I agree with Harry D. Colp that Charlie’s story is indeed very strange but not the strangest story ever told at least not in this day and age. 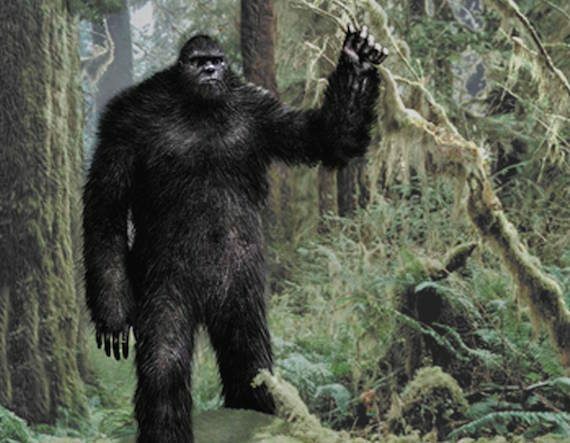 Posted in BigfootTagged Bigfoot, Alaska, Aleutian Islands, Creatures, Alaska PeninsulacommentLeave a Comment on The Strangest Story Ever Told?